Tuesday – Sunday and public holidays: 11am. – 6pm. December 25 and January 1: closed. Monday – Friday: 9 am. – 5 pm. 20% reduction on the train journey to Yverdon-les-Bains and back. 20% reduction on admission to the Centre Thermal baths for 3 hours and/or the Maison d’Ailleurs. At the Trèfle Gourmand, enjoy a 6.- CHF discount on the “Maison d’Ailleurs Menu” (starter/main course/dessert | noon everyday and saturday evening) upon presentation of your museum entrance ticket (valid one month after purchase). 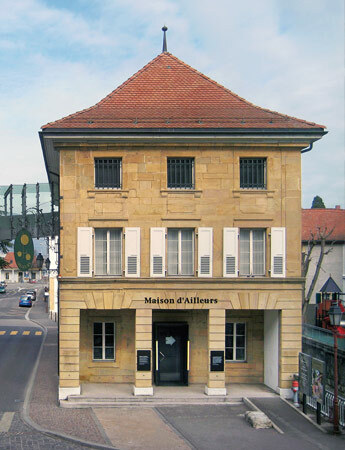 At the Maison d’Ailleurs, enjoy a 50% discount on your entrance ticket at the museum upon presentation of a “Trèfle Gourmand, Maison d’Ailleurs Menu” restaurant invoice (valid one month after purchase).